This follow-up to The Unofficial Harry Potter Joke Book: Great Guffaws for Gryffindor offers hundreds of hilarious jokes from the Harry Potter world for Slytherins and Hufflepuffs alike. 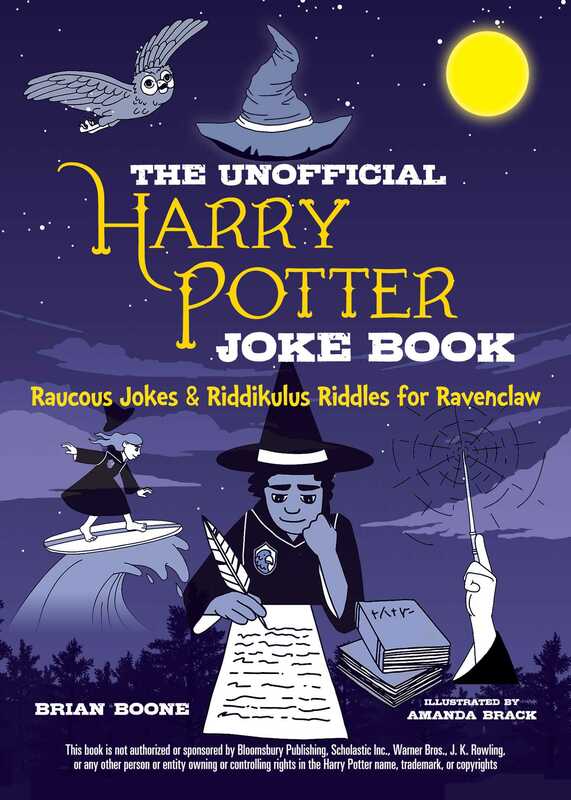 The Pottermore website allows Harry Potter fans everywhere to be sorted into the house that’s right for them, and now the Ravenclaws the world over will find their place in The Unofficial Harry Potter Jokes Book: Raucous Jokes and Riddikulus Riddles for Ravenclaw. This third book in the series dives deeper into this magical universe, poking fun of every wizard and muggle from Hogsmead to the Ministry of Magic itself. What do you get when you cross a Ravenclaw with the infirmary? We value wit, humor…and brains! Why did everybody want to take Professor Flitwick's class? Because he was so "charming." Why did Gilderoy Lockhart team up with Nearly Headless Nick?